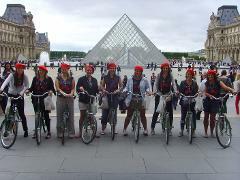 Our Parisian Day Bike Tour lets travelers experience Paris like a true Parisian! Discover Paris' back streets, local neighborhoods and amazing monuments on this unforgettable bike tour. REMEMBER- PAYMENT IS TAKEN AT YOUR TOUR TIME. 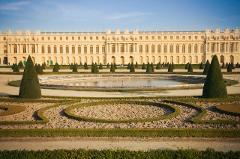 Bike About’s Versailles Bike Tour - the ultimate way to experience Versailles! Spend your day biking leisurely through Versailles' town, local food market, royal grounds, Marie Antoinette's village and of course- to the Chateau itself. After a short train ride from Paris (about 1h10)- we'll ride through Champagne's vineyards, meet our favourite small producer, visit Dom Perignon's village, ride along the Marne river and tour Champagne's 20km of cellars! 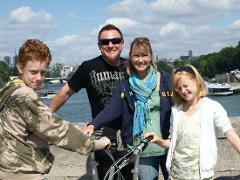 Tour our amazing Paris route with a private Bike About guide! It will be a highlight on your trip to Paris! Please email us at info@bikeabouttours.com for private guide availability and pricing information. Our Private Group bike tours are perfect for school groups, team-building, hen parties/stag do's, and more. 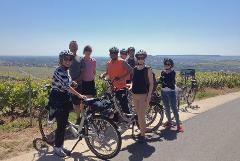 Please contact us at info@bikeabouttours.com before your reserve- to organize all the details of your private tour. Join us on the final day of the Tour de France- Sunday July 21st, as we ride the famous route, down the Champs Elysées- all the way to the finish-line! 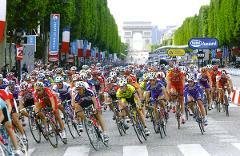 Be there before the riders come into Paris & experience the excitement of 'the Tour'! Bike the best of Paris as the sun goes down & the nightlife comes alive . 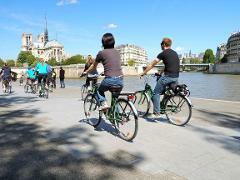 You’ll bike along the Seine, by the Parisian bridges, through the Louvre & all the way to the sparkling Eiffel Tower.